I decided to spend a lazy Saturday afternoon exploring West Kowloon. I dragged a friend along both for company and for a second opinion. Jack moved to Hong Kong from Los Angeles to take up a banking job two years ago. 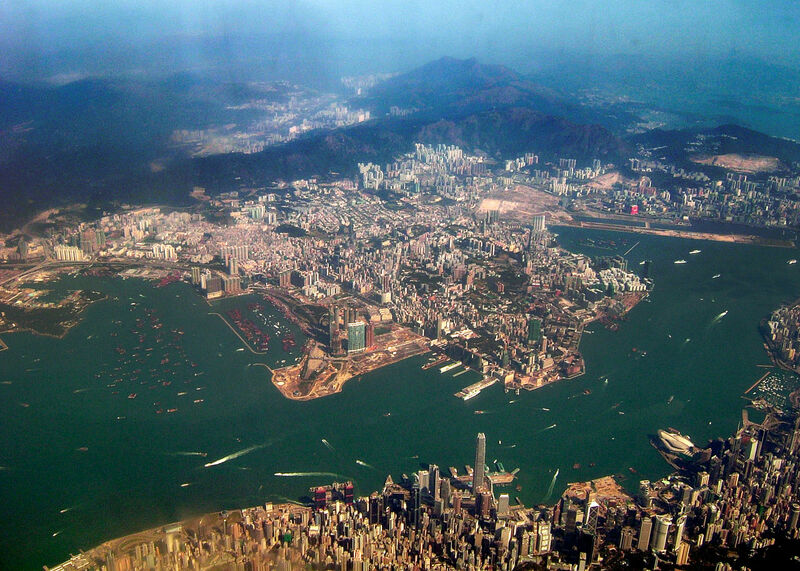 Like many other expatriates, my friend's knowledge of Hong Kong is limited to Central, Wanchai and Causeway Bay. Anything outside his tiny comfort zone completely eludes him. I thought Jack's unfamiliarity with Kowloon would give his perspective some objectivity. Driving through the Western Tunnel felt a bit like going through immigration in a foreign country: there was that mix of excitement and trepidation. It was, after all, the first time I took my car to the other side of the harbor. Jack made the old joke about Kowloon, “I think I forgot to bring my passport.” His remark got a few chuckles from me. At the toll booth, the uniformed cashier asked me for a whopping HK$45 (US$5.50) for a one-way passage, which prompted me to gripe to my friend about the Western Tunnel. Eleven years after its completion, the tunnel still languishes at 33% capacity, doing little to ease the bumper-to-bumper traffic at the old Hunghom Tunnel that charges half as much and handles 50% more vehicles. To make matters worse, government officials flatly admitted to the frustrated public that they were powerless against CITIC Group, the PRC state-owned company that built and operates the tunnel. Big businesses walk over us like a doormat and the government throws its hands up. Suddenly our 15% income tax rate doesn’t seem like such a bargain. As soon as we came out of the tunnel, we were greeted by clear skies and cool breezes. There are far fewer tall buildings on the Kowloon side, thanks to the old Kai Tak Airport that for 75 years imposed stringent height limits on most of the peninsula. Since the old airport became defunct a decade ago, high-rise residential blocks have been shooting up like mushrooms, as property developers scrambled to make up for lost time. Today, the Tsim Sha Tsui cape is flanked by the cloud-hugging ICC Tower on its left and the brand new 64-floor Hyatt-Regency Hotel on its right. Smack in the middle is the swanky One Peking Road, which together with the two skyscrapers creates a curious W-shaped skyline against the Lion Rock ranges in the back. 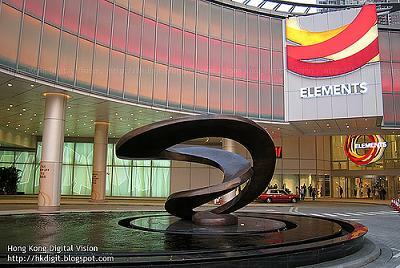 We made our first stop at Elements shopping mall atop the Kowloon MTR Station. Opened in 2007 with great fanfare, the million-square-foot mega shopping center declared war on glitzy competitors like the Landmark and Pacific Place. Bulge bracket investment banks like Morgan Stanley, Credit Suisse and Deutsche Bank have signed leases to move into the nearby ICC Tower, at half the rent they were paying in Central. Nevertheless, the global financial crisis and the resulting collapse of the banking industry have caught the property developer off guard. At Elements, sale clerks out-number shoppers even during the holiday season. Bad timing, coupled with several miscalculations, such as its dizzying layout and the inclusion of an indoor ice-skating rink – hardly an “it” sport for the mall’s target demographics – does not bode well for the new shopping mall. With my insistence, Jack and I left Elements to explore the neighboring Yau Ma Tei area, walking eastward on Jordan Road (佐敦道) teeming with pedestrians and double-decker buses. I suggested taking a detour through Shanghai Street (上海街), where vestiges of the post-war era were on full display. The three decades between the 50s and 70s were Hong Kong’s most romantic period, when my parents’ generation, still struggling to make ends meet, welcomed free television broadcast into their living rooms and set foot in the first Japanese department stores. My nostalgic trance was interrupted by Jack’s candid remark. “This looks just like those old streets in Wanchai near the Pawn,” he observed, referring to the old Lee Tung Street (利東街), now boarded up to make way for a bridal shop city. Jack had a point: there are no short supply of these quaint neighborhoods on the Hong Kong side. His casual remark put me out of my short-lived fascination in Yau Ma Tei. By the time we reached the kitschy but still charming Temple Street (廟街), the sun had set and we were both a little “Kowloon’ed out.” We took a taxi back to the ICC, hopped back into the car and retraced our path home. At the other end of the Western Tunnel, office towers in Sheung Wan formed a receiving line to welcome us back. I felt instantly at ease. I don’t know what it is, but here on the Hong Kong side, the streets look a bit friendlier and even perfect strangers seem more familiar. I am a hopeless islander.